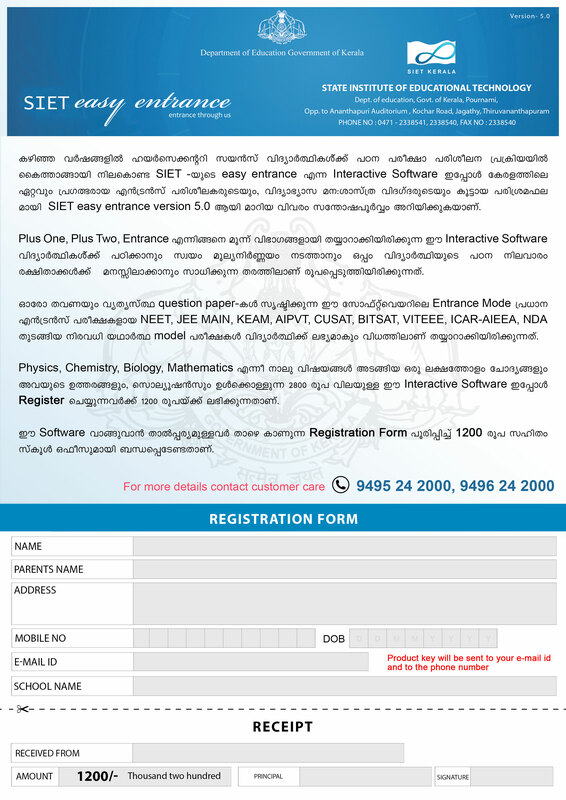 Easy entrance is an interactive software prepared by various science subject experts exclusively for senior secondary students. A unique one of its kind enables the aspirants to win various medical and engineering entrance exams. The unique innovation can be used by the learners at their will and wish. Through providing games and activities, learning gets liberated from the tags of tediousness and laboriousness earlier associated with it. By entwining technology with the unmistakable knowledge of proficient teachers, it opens windows to success to the students. Detailed description of science subjects including practice and exam session with different weightages including easy. average, and difficult mode. Simulation of importent entrance examinations in India including NEET, JEE MAIN, KEAM, AIPVT, CUSAT, BITSAT, VITEEE, ICAR- AIEEA, NDA. Chapterwise notes, Keypoints and Shortkeys based on NCERT Syllabus and Synopsis for medical and engineering entrance examinations. Detailed explanations to scientific terms in each subject with the help of diagramatic representation for easy understanding. Practice questions from each chapters with different weightages including easy, average and difficult to constantly upgrade your knowledge. 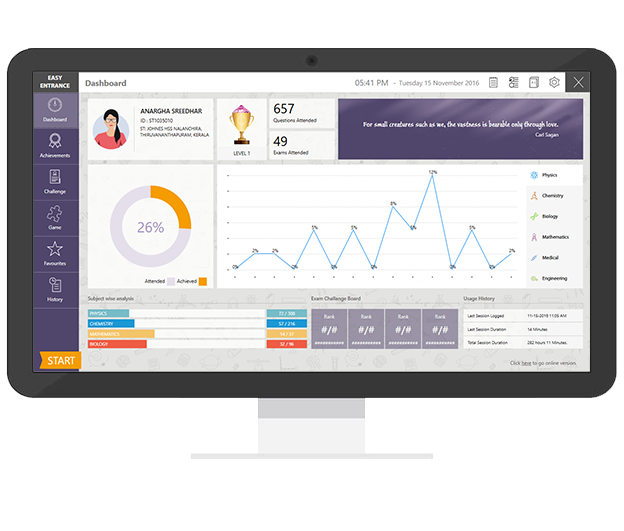 Analyse yourself with help of detailed Dashboard of achievements, points, exam history and your easy entrance global ranking. Creating Challenging atmosphere by conducting ,sharing ,accepting online exams, sunday snappy challenge provides you the easyentrance global ranking.